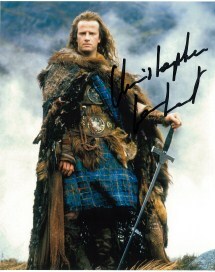 He is best known for his role as Connor MacLeod, or simply "The Highlander", from the movie and subsequent movie franchise series of the same name. He is also known for his roles as Tarzan in Greystoke: The Legend of Tarzan, Lord of the Apes and as the thunder god Raiden in the first movie adaptation of the video game Mortal Kombat. He is credited internationally as Christopher Lambert, with the exceptions of French-speaking countries, where he is known as Christophe Lambert.